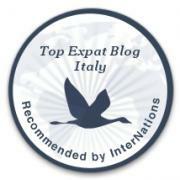 New to My Sardinian Life© and not sure what to read or where to click? I’ve designed this page with readers in mind. I know from experience, that some blogs are a nuisance to navigate around, especially once there is substantial content built up over time. Who is the woman behind My Sardinian Life©? Read my ABOOT page to learn more about Jennifer Avventura. My aboot page happens to be the most commented page and post on My Sardinian Life. I’ve been the recipient of three fantastic blogging awards which made me feel all warm and fuzzy. The Versatile Blogger which I received twice, and The Liebster Award. Follow My Sardinian Life© on Facebook or Twitter. Your porthole to paradise – Sardinia, Italy. Where in the World is Sardinia? 10 Remarkable Reasons to Visit Sardinia, Italy. How to Hunt for Wild Sardinian Asparagus. Top 5 Beaches in the Gallura. Sardinia, Italy. The number one best thing about living in Sardinia. How to eat a 12 lb Sardinian Snapper. Lord of the Boars | In Sardegna. The Sardinian Fig | Ficus Carica. Nuraghe Sardinia | Where Only the Strong Survive. How to pickle a wild Sardinian mushroom. I love you more than Italian pizza. On being an Expat in Sardinia, Italy. Look what I found in Oz. How not to make Sardinian Seadas. The highs and lows of the Italian stamp. An ongoing series. My favourite places on the planet series. Cabo Frio. Rio di Janeiro, Brazil. Blog surfing one peace at a time. For the love of blogs. I hope this is enough to get you started at My Sardinian Life©. Please feel free to comment, like and share with fellow social media users. Please note that all content mine, unless otherwise stated. Please do not steal my work. If you are interested in my writing or photographs please contact me for further information. To the person looking for a place to rent in Bosa. We have a lovely house near to Bosa set in a olive grove and vineyard. It has four bedrooms, three bathrooms, a huge lounge with an enormous fireplace and large diner kitchen. Outside there are two large balconies and a private balcony within the roof. You can walk into Bosa as it is about 3k but it is better to have a car. Due to our increasing work in UK we are willing to rent this out for long periods at a reasonable rent. This looks like huge fun, think I’ll linger a while.. Please do, The Rider. I hope you like the view! Hi Jennifer… how do you make your living in Sardinia, if I may ask? I was unemployed for the first 3 years but am now working in a large hotel as a waitress. Good luck Jennifer! I thank you for satisfying my curiosity. This is a great blog! Congratulations for the idea and for its realization! Keep on writing! Wow! Thank you justjulia! Your comment has made my day! It’s a great place to live! Go on and buy a house there you won’t regret it!